I'm friends with several lovely New Zealanders (none of whom I've met in person, but I still feel as though I know them!) 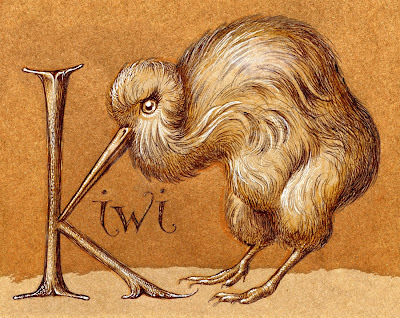 so my choice for K in Ben Towle's Animal Alphabet was a natural. Ball-point pen, marker & white gouache on brown paper, fiddled in Photoshop. This is a wonderful kiwi specimen. It reminds me of antique prints. I think this is the month of kiwis! 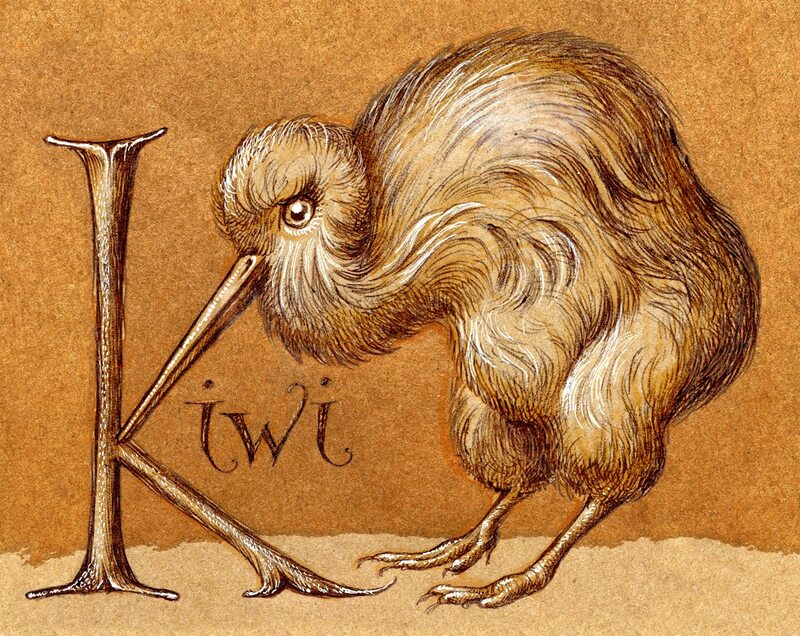 I’m very interested in expressive typography, and this is a very stylish Kiwi. Is there a story behind your New Zealand connections, and your illustrations for Anthony Holcraft’s book to be published by Penguin New Zealand? Enjoy your upcoming animation studies. Thanks, Ces & Susan Charlotte!